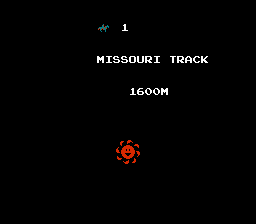 Family Jockey is a sports game for the Nintendo Entertainment System. 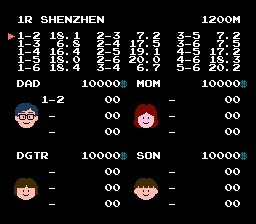 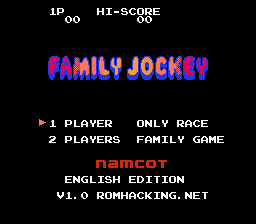 Here is an English translation for Family Jockey from Namco! 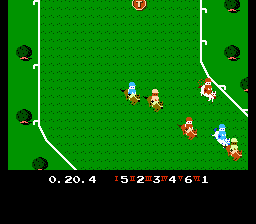 Now you can enjoy derby racing whether by yourself or with a friend as 2 players can race against each other! 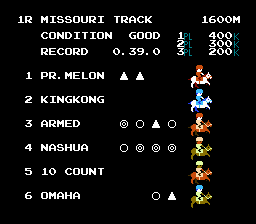 The horses you play as are actual translations of their names but the ones you race against were re-named after some of the top 100 race horses for more realism.